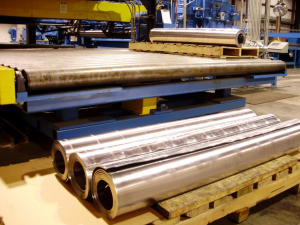 Our packaging equipment can be used to integrate with our metal processing, high speed automation, robot cells or third party equipment to give you a fully automated process. 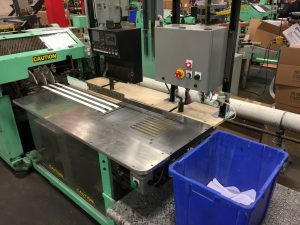 Our experience in packaging forming and gluing equipment, labeling and boxing equipment offers a well rounded solution to fit your packaging needs. Complete work in process tracking through our equipment allows us to provide labeling tied to production metrics for trace ability and quality assurance. Our equipment has been used to reduce worker’s compensation claims by replacing repetitive operator tasks with automated equipment. This promotes a safer healthier work environment that can grow to meet production demands of the future.